She is the “Grande Dame” of tennis: Martina Navratilova. With six singels’ titles, she is the only record-holder at the Porsche Tennis Grand Prix. 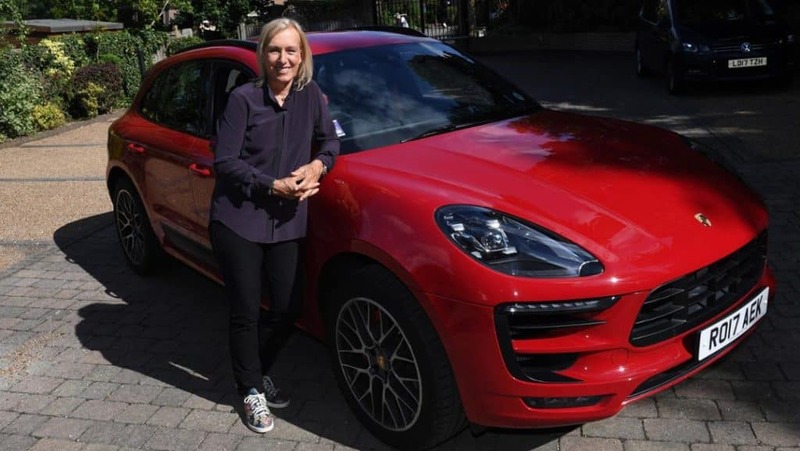 In the interview she talks about Wimbledon, Angelique Kerber and her connection to cars. 40 years of Porsche tennis in Stuttgart. You’re obviously the person who won the most, six titles. What do you think about these 40 years?What was your personal opinion on the tournament actually? Well, it kind of mirrors the transformation of women’s tennis, or tennis period, when we used to play in country clubs. So it started in a tennis club, and then it evolved into this amazing facility, which I have not been to yet. For me special memories because it was usually during my birthday week. If I played on my birthday, then I had four thousand Germans singing happy birthday, so that was pretty funny, too. Is there another story you think about if you go back? Well, seeing Steffi Graf for the first time, I think, and Tracy. I think Tracy Austin played Steffi there. I thought, “Wow, this girl can run. She can run.” You could just see the athletic ability. You knew she was going to be a star. 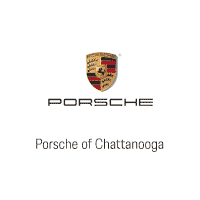 You won so many cars, Porsches. What is your favorite one? God, I love them all. But I drove the Porsche 959 actually. I had it going 300 kph on the autobahn. We averaged about 220 kph for two hours ’cause it was 30 years ago, there was not much traffic. Now it’s different, even in Germany. Very few places where there’s no speed limit any more, yeah. You have too many cars, yes. Back then you could do that. It was just so much fun. We were passing a cop, you know, going 150 miles an hour. You didn’t have to slow down. Aah, this is fun. You have a special relationship to cars. You do it yourself. I mean, if something is wrong, something has to be repaired, you do it. I’m not quite that. I did change a tire. But that’s all. I’m not that good. But I know the feel of the car. I know what’s going on with it, oversteer, understeer, all that stuff. So, yeah, I love speed. And I appreciate good machines. I’m driving the Macan this week, GTS. Just you turn the engine, it’s like, Aah. I love it. Angie Kerber, she’s the national ambassador, and Maria Sharapova, they are pretty much involved in the Porsche tournament. What is your opinion right now on them? Well, I mean, Angelique, by her own admission, has had a hard time dealing with the No. 1 ranking. She has not won a tournament since she became No. 1 at the US Open last year. You think Kerber can come back? You can still improve your serve. Maria, what do you think about her? Maria? Well, it’s difficult, isn’t it? I mean, she paid such a big price for making a very, very bad mistake. I’ve said this before. I don’t think she meant to cheat. And that’s that. Let her play. Just let her play and be done with it. How important is she for the tour? How important is she for women’s tennis? Oh, she and Serena Williams, biggest stars obviously. The biggest stars that people pay money to watch. They make news every time they step on the court. When you lose somebody like that, it’s tough, especially the way it happened. And now Serena’s out, as well. She’s pregnant. Well, right now, no, without those two in the game. Yeah, the guys have four superstars. We have two, and neither one is playing. Hopefully Maria will get healthy and play again. Yeah, this is her best opportunity perhaps to win here since Serena’s not playing, because she hadn’t beaten her for such a long time. The situation on the women’s tour, I mean, you don’t know who is going to win. You know it? No, I have no idea. Now it’s anybody’s ballgame. We’ll see if anybody can rise to the occasion. Ostapenko played to win, that’s why she won the French Open. A lot of women, I feel like they’re protecting, they’re playing not to lose. What happens? You lose to someone that’s going to play better. So it’s a great opportunity. Angelique, yes. But she’s the fourth one on that list, only because she played lousy this year. She hasn’t played well enough. But this is a great opportunity for her, no doubt. You see a new generation, players like Ostapenko, other players? Do you see anyone? It could be her. I like Kasatkina. She’s a good athlete, she works hard. Maybe Garcia. I think Pliskova has the biggest possibility. She just needs to get a little bit faster and more consistent. But she’s got the biggest game of them all. You know, nice hands, as well. She just misses too much. But she can get that fixed also. She’s definitely got the good mentality for it.